US ambassador to the United Nations, Nikki Haley has praised Israel for its "restraint" towards Hamas. Speaking before a UN Security Council meeting to address recent violence on the border between Israel and Gaza, Haley declared that Hamas "has been inciting violence for years, long before the United States decided to move our embassy" to Jerusalem. "No country in this chamber would act with more restraint than Israel has," she added. 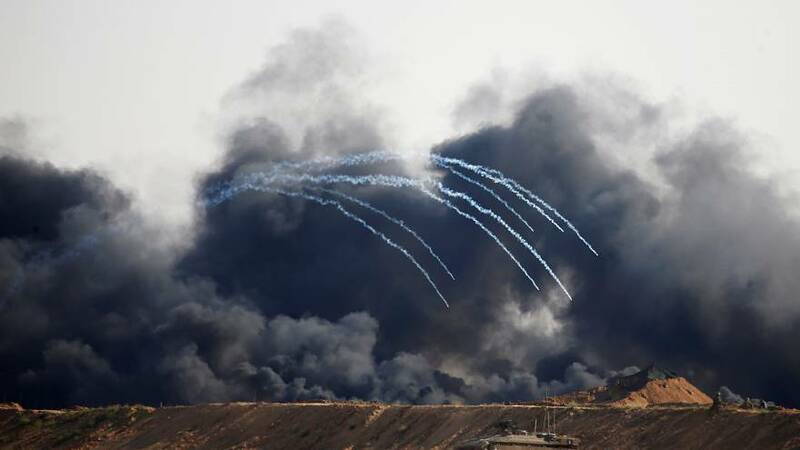 At least 60 Palestinians, including an eight-month-old baby, were killed and more than 2,000 injured, according to Palestinian medics, as mostly unarmed demonstrators charged the border with Israel yesterday. Soldiers used live fire, as well as tear gas, to repel them. An Israeli commander told Reuters that some protestors had been carrying home-made bombs and grenades. A British foreign office minister had earlier criticised the US for a lack of understanding of the issues behind the conflict. "The US will remain a central part of what needs to happen in Israel, but it does need to give a greater sense of understanding of some of the underlying issues," Alastair Burt told the UK parliament.